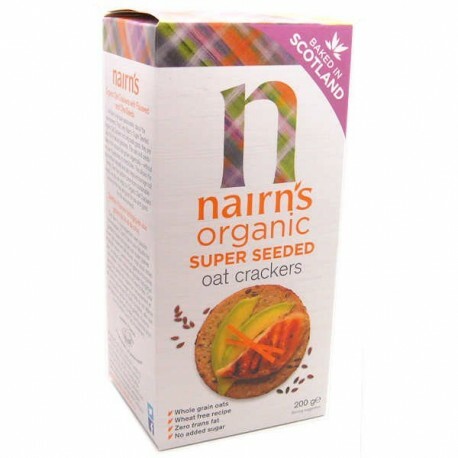 Nairn Super Seeded Oat Crackers are full of delicious flax, sunflower and chia seeds, which makes them crunchy and so tasty, you can eat them on their own, without a topping. 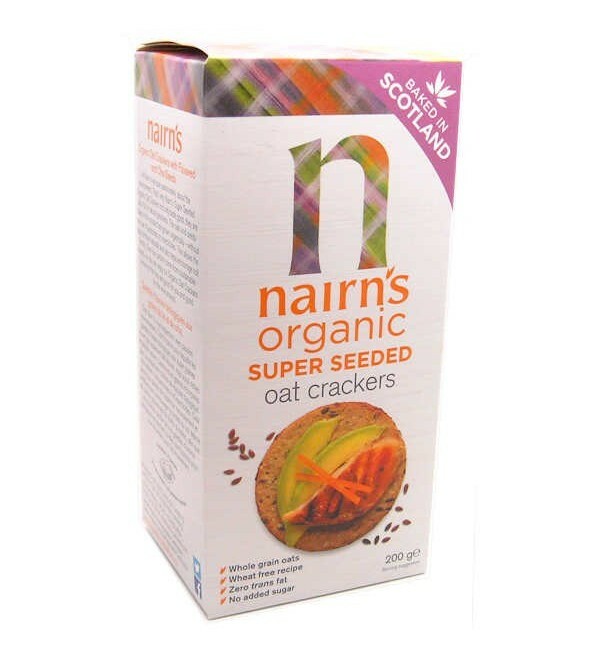 These seeds are a great natural source of protein, as well as being high in fibre and rich in omegas 3 or 6, and are all grown organically – so now there are even more reasons to feel good about enjoying Nairn Super Seeded Organic Oat Crackers. Ingredients - Wholegrain Oats (70%), Currants (12%), Demerara Sugar, Palm Fruit Oil, Brown Flaxseed (6%), Raising Agent: Sodium Bicarbonate, Sea Salt. Ingrédients - Avoine entière (70%), Groseilles (12%), Sucre Demerara, Huile de fruits de palme, Graines de lin brutes (6%), Agent de levage: Bicarbonate de sodium, Sel de mer.